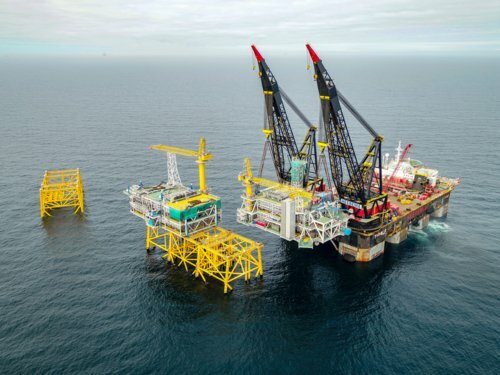 “Good co-operation and detailed planning are the criteria for success on a complex project such as Johan Sverdrup,” explains Anton Hove, project manager for the Aker Solutions, Kværner and Beerenberg consortium. 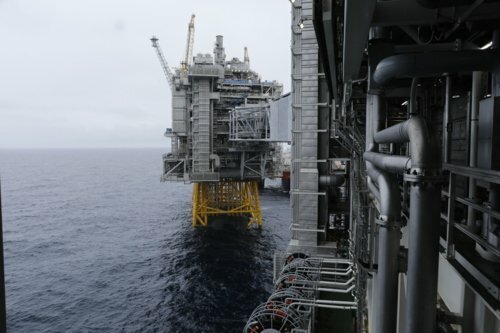 The Johan Sverdrup project sees Aker Solutions, Kværner and Beerenberg involved in two major operations. The first part, which is also the most labour-intensive, is the hook-up of the riser platform. The second is the hook-up of the living quarters. “We have now entered the final phase of the first operation with 85% of the work completed. We are also preparing for the hook-up of the second platform, that is the living quarters produced by the yard in Stord. We’re pleased to say that we’re ahead of schedule,” says project manager Anton Hove. 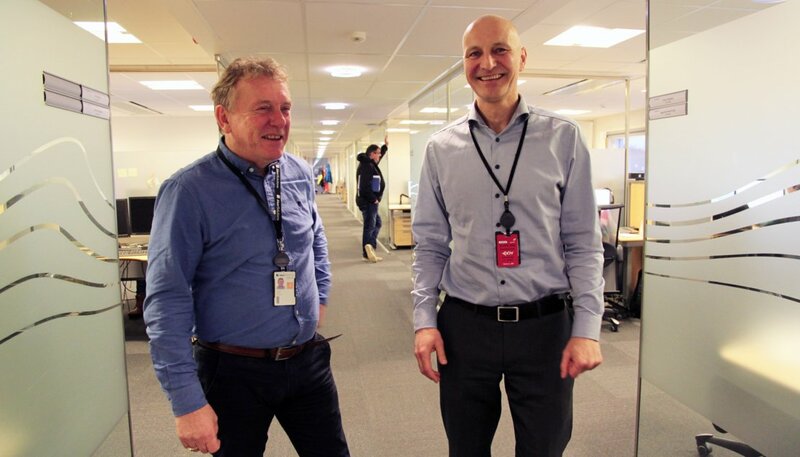 The project manager gives some of the credit for being on schedule to the customer, Equinor, which has created both a good strategy and a good culture for the project. “This level of preparation gives you a good relay baton to pass on between the different stages of the project. When we were on board the platform in Korea we were able to comment on things we felt could be challenging when it came to the hook-up. That way we could take the necessary steps before getting stuck into the job,” Anton Hove says. 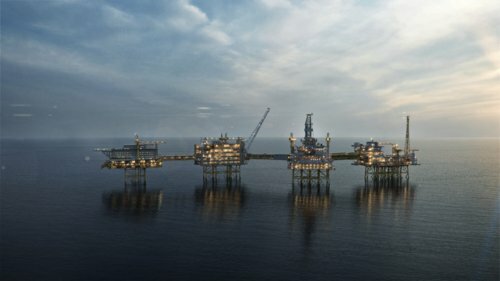 All in, the Johan Sverdrup project will amount to around 66 million working hours when taking into account everything from planning to building the four platforms at the yards and then the final testing before being put into operation. The hook-up project involving Aker Solutions, Kværner and Beerenberg accounts for around 1.5 million of these hours. 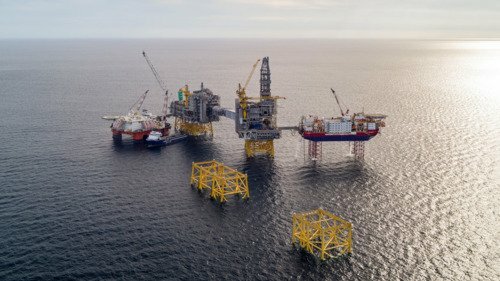 Johan Sverdrup phase 1. (Illustration: Try/Equinor). This focus on integrated working has helped ensure the good humour we’ve seen on the project, and Hove also mentions Beerenberg as a key contributor in that respect. “I find Beerenberg to be highly professional, and its staff are very forthcoming when it comes to finding good ways of co-operating. It’s clear that it’s part of their corporate culture. Across the company I also find that people are putting their pride in doing a good job. That’s a great combination,” says Anton Hove. The project manager also find Beerenberg’s people to be highly disciplined when it comes to health and safety. He has been impressed by how the company has adopted rules and behaviours around how both observations and incidents are reported. “Beerenberg always thinks safety first when carrying out a job. I find that its staff have a very good understanding of what safety means and why focus on safety is so important at sea. The attitude is that ‘I follow the rules because I want to stay safe’. Everyone can learn from that,” says Anton Hove. Beerenberg project manager Fredrik Myge is grateful for the compliments from Anton Hove. He also concurs with Hove’s description of the good humour on the project. Thinking two thoughts at the same time The next phase of the hook-up project has a tight schedule. The living quarters arrive for hook-up in March/April and must be completed and ready to move into by the summer. “This is the tightest and most complex schedule on the entire project, and it demands far greater precision than a large-scale job such as the riser platform. In the next phase we need to get precision 100% right, which means we have to plan in even greater detail. The nature of the project means that unforeseen situations always arise. It can be something as simple as changing weather. This requires greater control, and we must be able to predict the consequences if we find ourselves having to make changes along the way,” Hove explains. How are you approaching the current phase of the project involving both the completion of the riser platform and planning the hook-up of the living quarters? “Projects involving two concurrent phases are in fact on our risk list. We need to make sure that we have allocated enough time to both, and that’s a challenge. It’s easy to get consumed by an ongoing operation. We just have to be able to think two thoughts at the same time,” concludes Anton Hove.